We took a bus to reach Umaria, the White Tiger Reserve. We entered into the forest in the evening. The atmosphere was completely dry and we could feel the heat in the air that blew occasionally. The sight of deers, peacocks, wild boars and bear kept us oblivious of the woods and the birds that surrounded us. But the dawn was unexpectedly cold when we arrived at the Gypsy Centre at about 5 in the morning. We entered the forest at six. 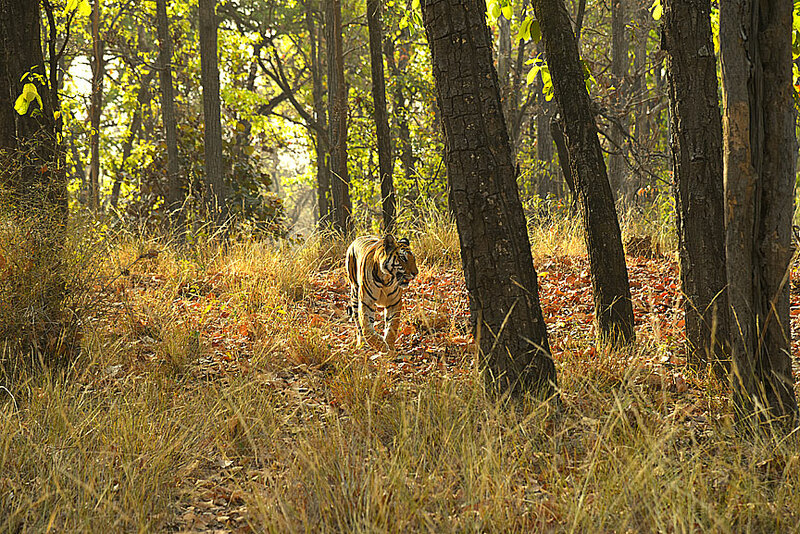 We could feel a mystery in the surroundings and it gave us a hunch that we would sight a tiger that day. Following tiger tracks and warning calls of birds and animals, we did spot a tiger near a water hole, under the cover of trees! All we could catch was a flash of its head and the stripes before it was gone! 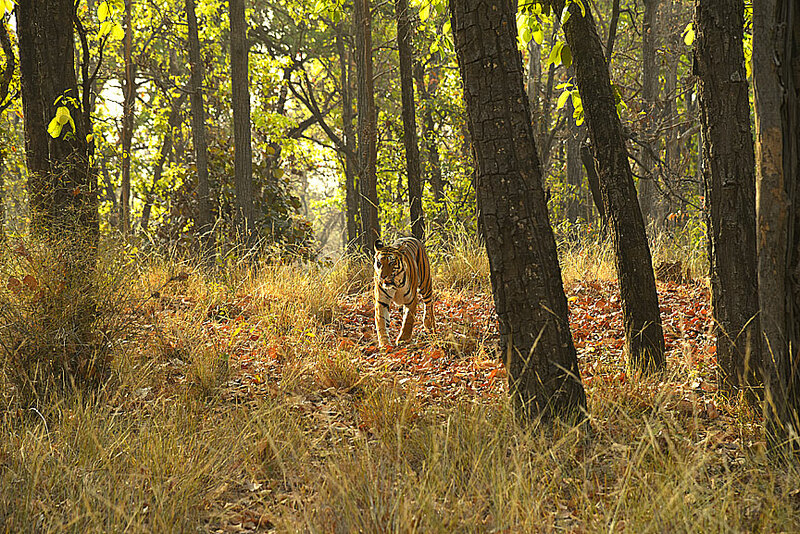 Just as we reversed, we were excited and alarmed as well, to see the tiger comings towards us. 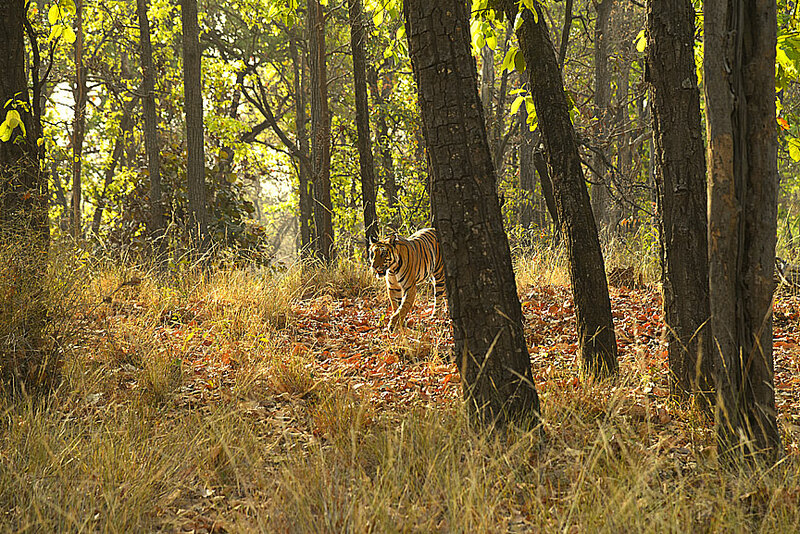 Coming out of the shelter of trees, the tiger crossed the dirt patch just a few feet in front of us. For a split second, it turned its head and looked at us. At me, to be precise. It did not roar, nor did it charge at us like we see in the movies. But that single glance was enough to chill the hottest of spine. I still wonder what would have happened had it done more than that. 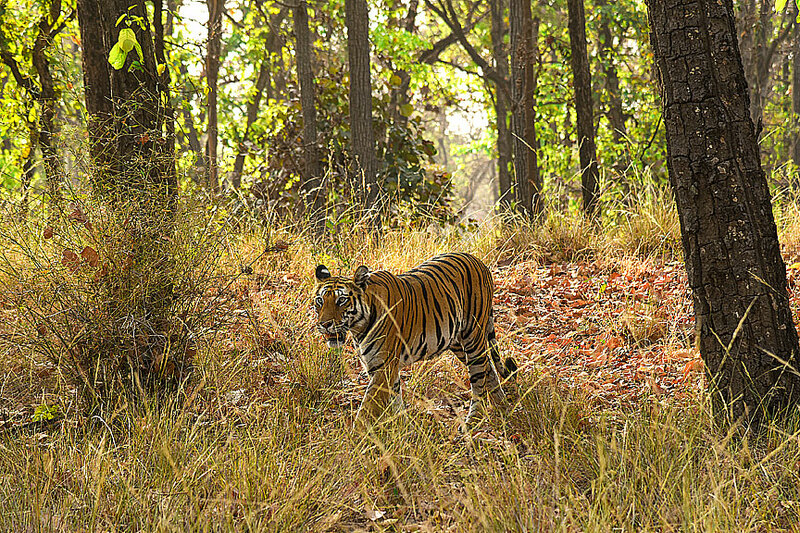 The guide informed us later that the tigress’s name was Spotty and that she had three cubs.